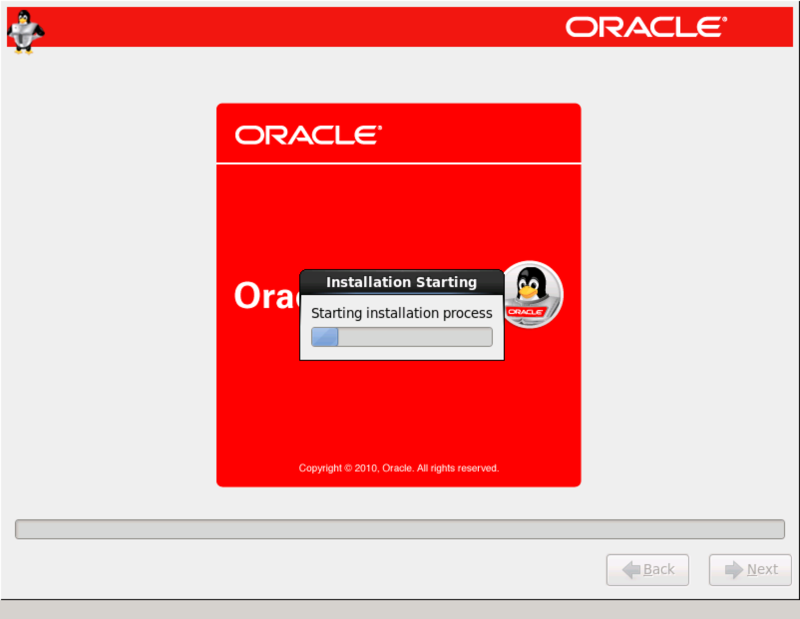 ORACLE-SOLUTIONS - Installation Oracle Enterprise Linux 6.4. 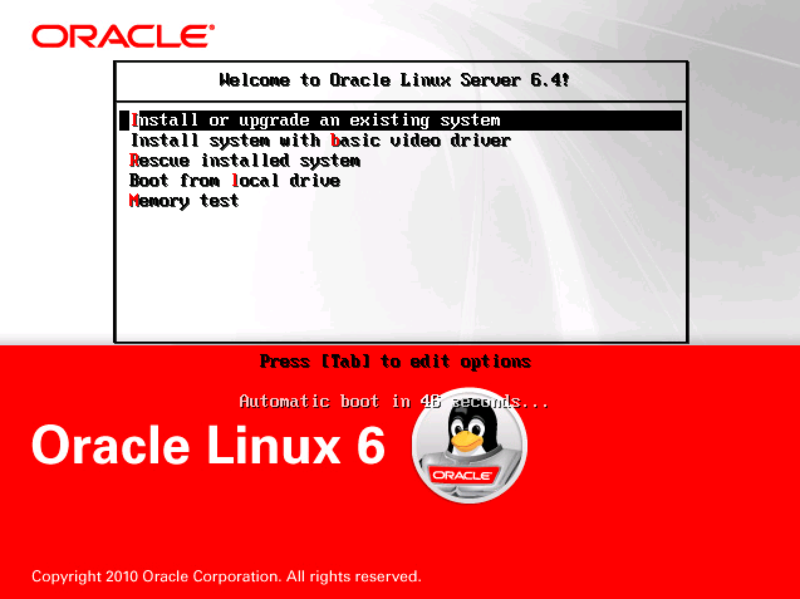 This manual describes the installation of ‘Installation Oracle Enterprise Linux 6.4’. 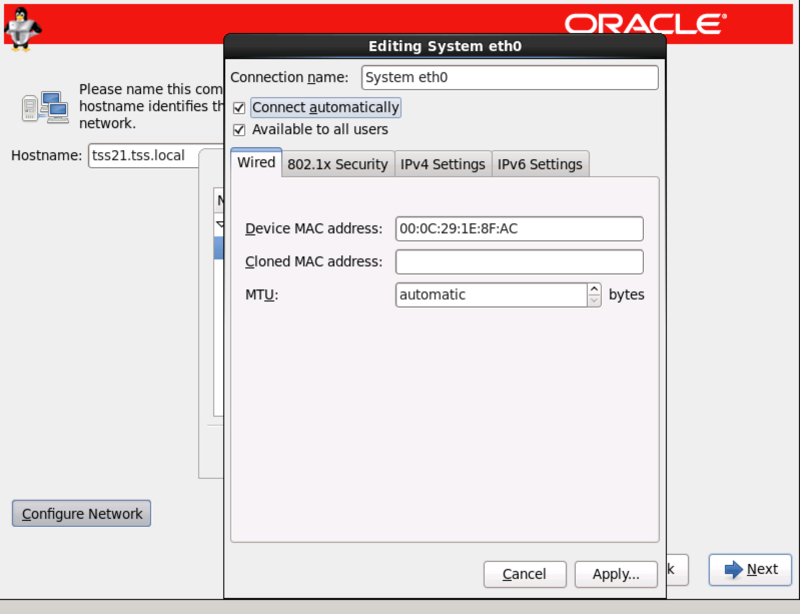 Installation on Oracle VM or server hardware. 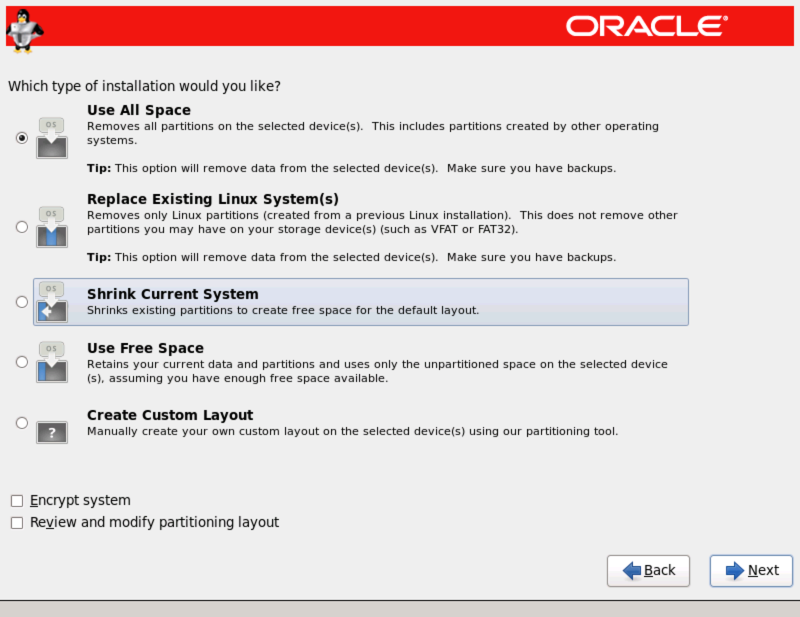 Select ‘Install or upgrade an existing system’ and press Enter. 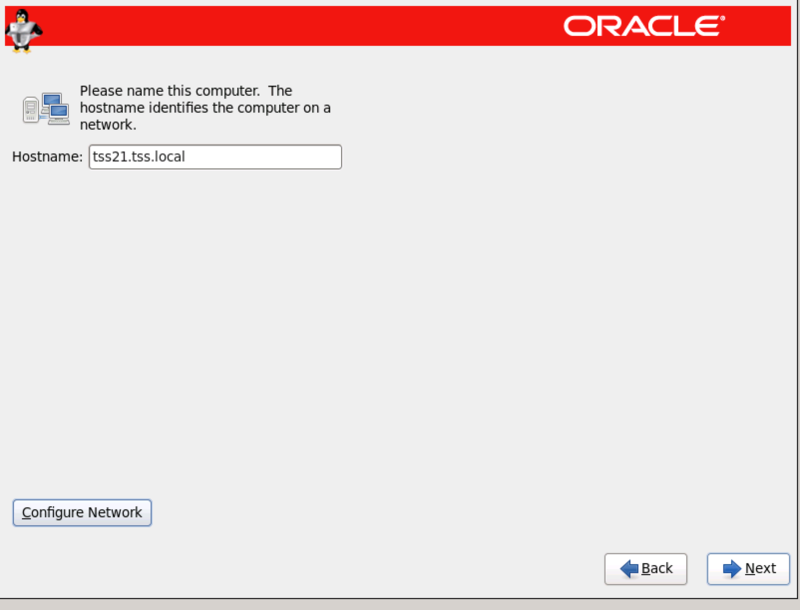 Select ‘Skip’ and press Enter. 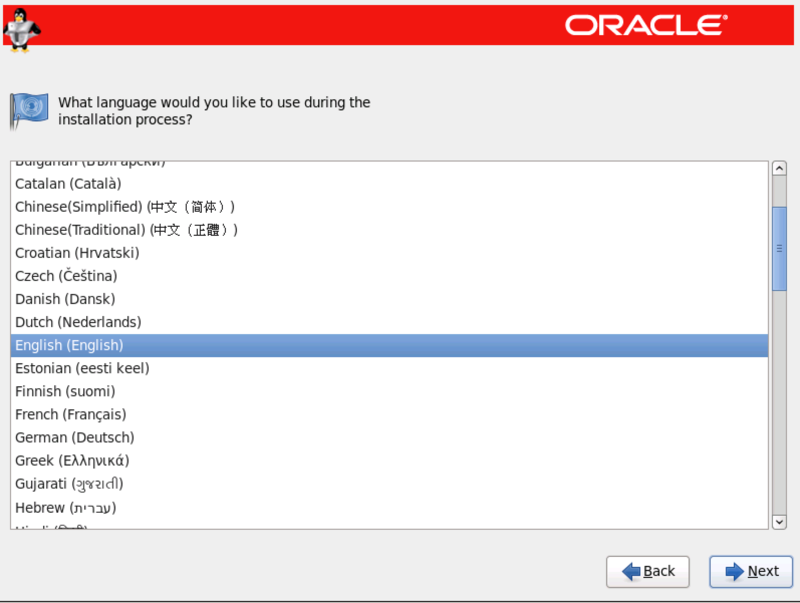 Select ‘English (English)’ and click ‘Next’. 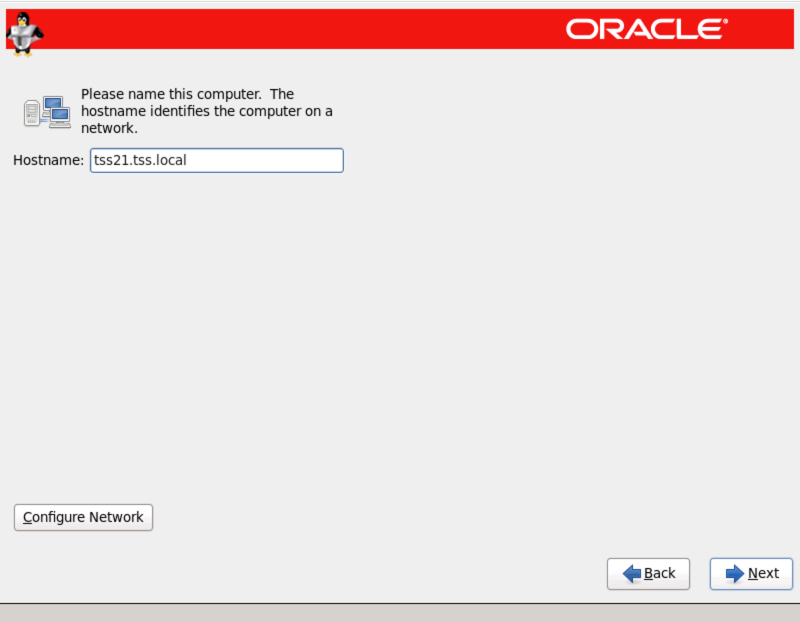 Select ‘U.S. 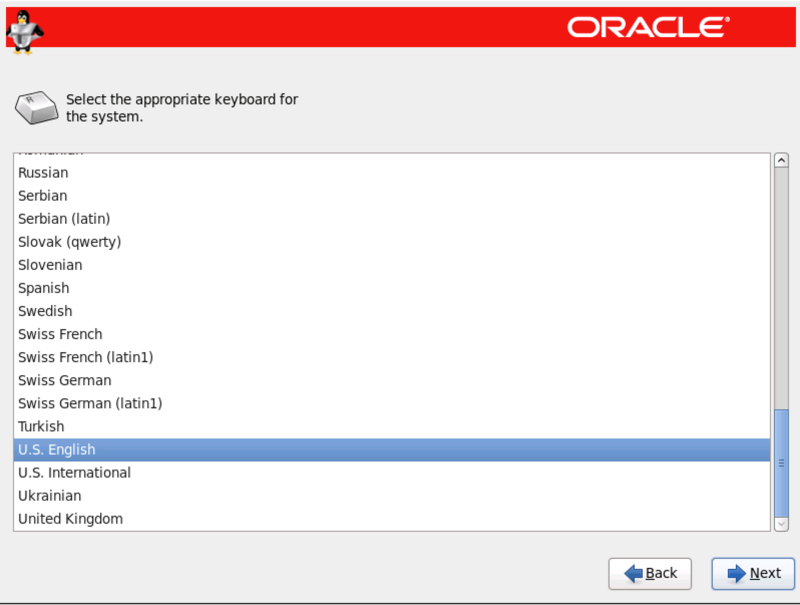 English’ and click‘Next’. 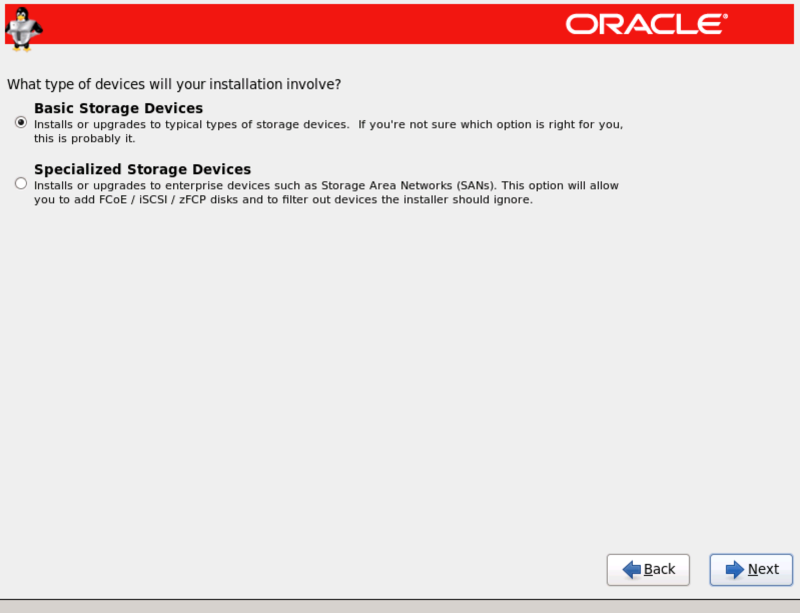 Select ‘Basic Storage Devices’ and click ‘Next’. 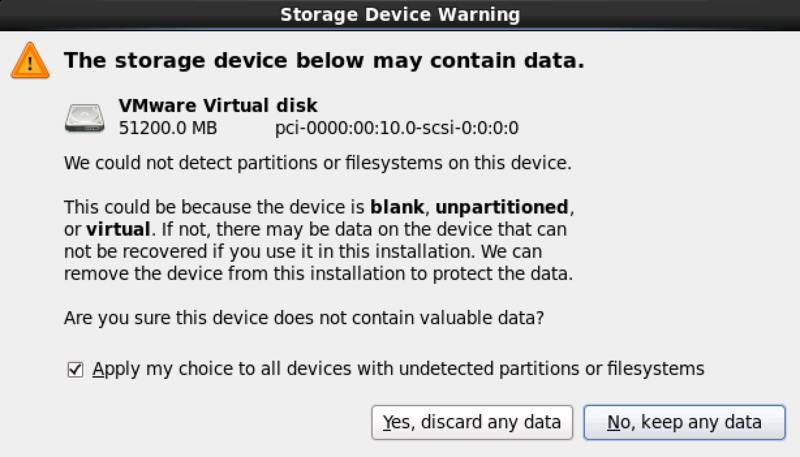 Click ‘Yes, discard any data’. 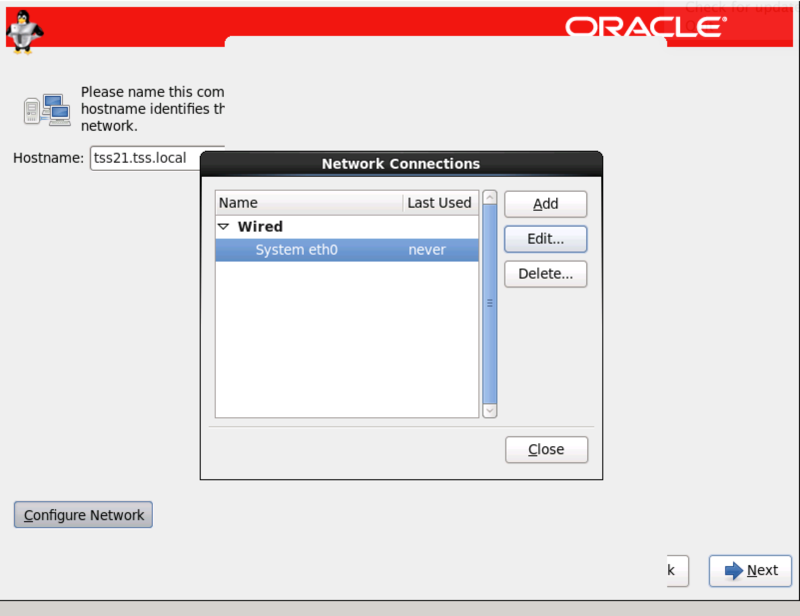 Give a ‘Hostname’ for the Machine and click ‘Next’. 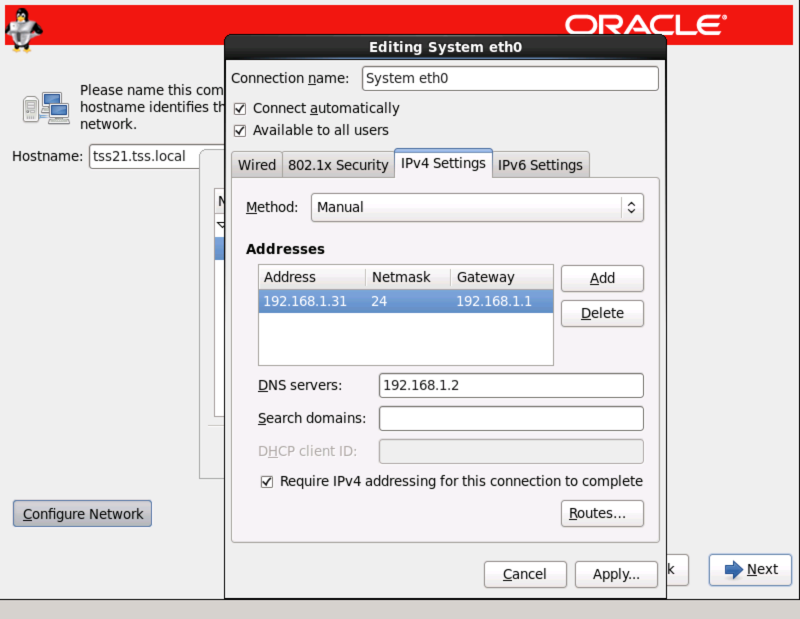 Give an ‘IP Adress and DNS server adress’ and click ‘Apply’. 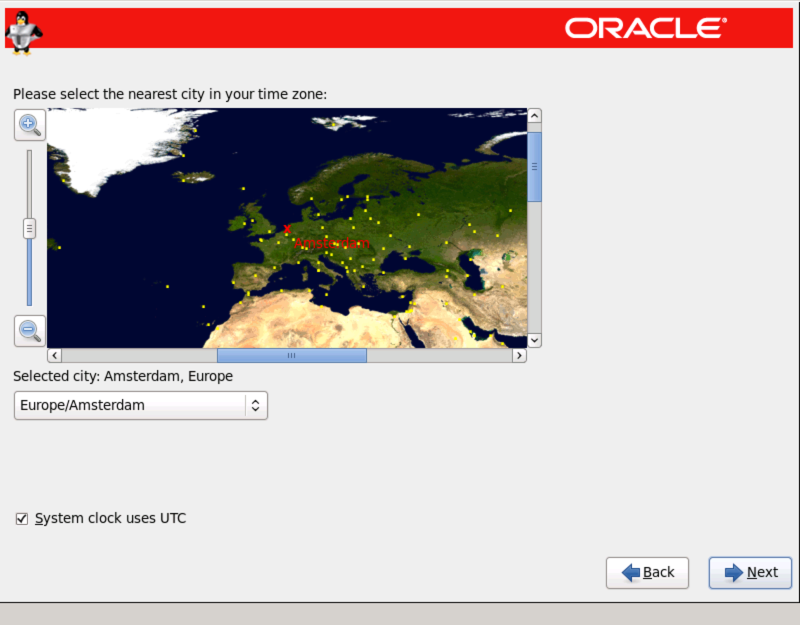 Select the correct Time Zone for the server and click ‘Next’. 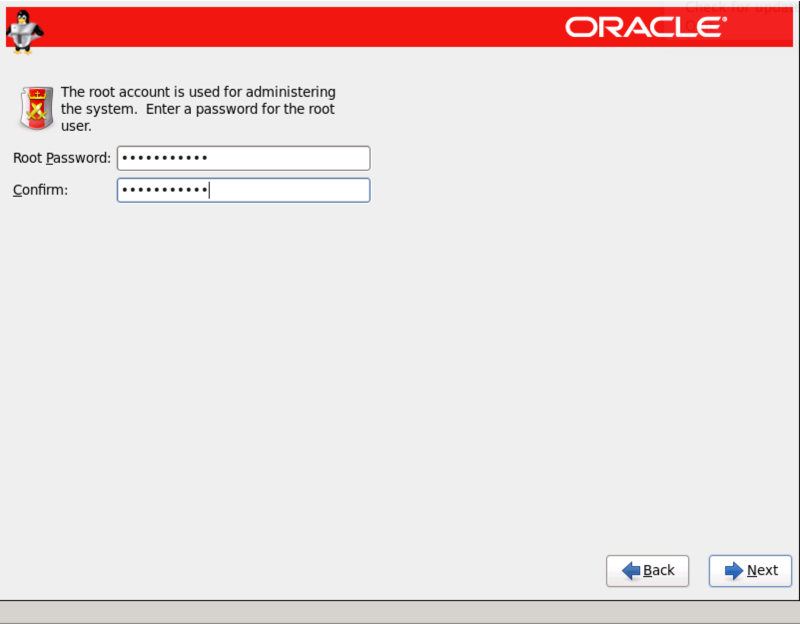 Give a root password and click‘Next’. Select ‘Use All Space’ and click ‘Next’. 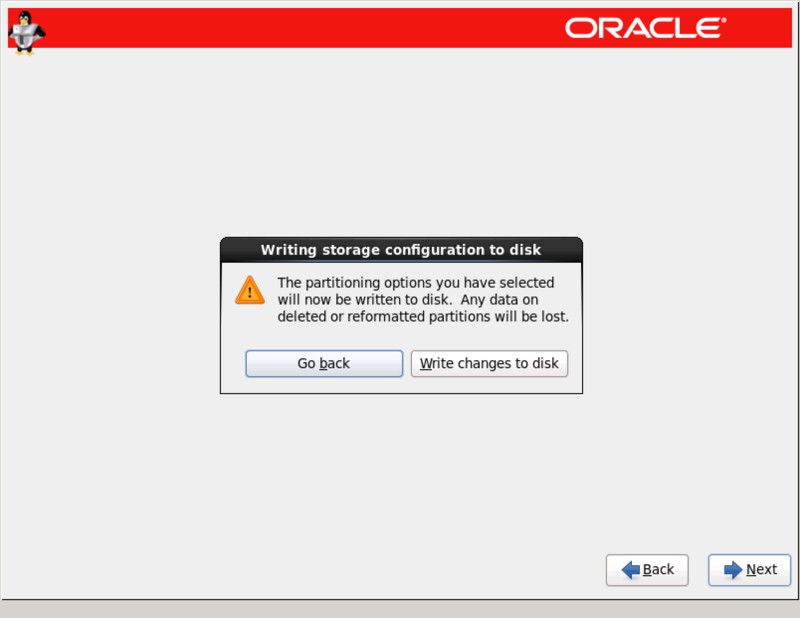 Click ‘Write changes to disk’. 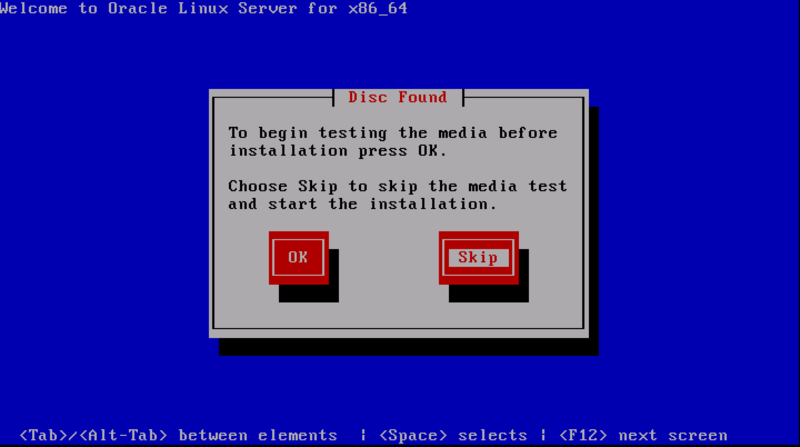 The disk is prepared, when it is finished click ‘Next’. 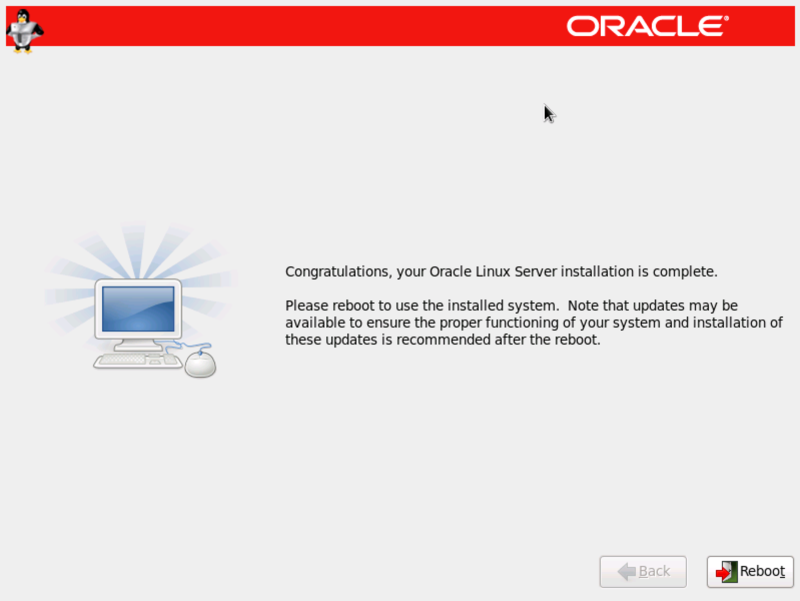 Click ‘Reboot’ to finish the installation. 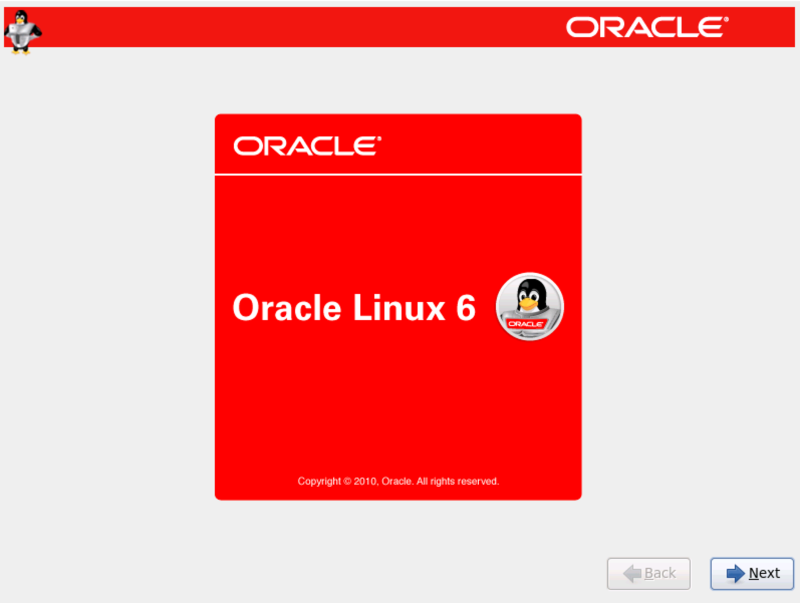 Please let me know if this manual ‘Installation Oracle Enterprise Linux 6.4’ was usefull to you. If there are faults or you have suggestions regarding this manual, please let me know. No rights can be derived from this manual.